This project arose from comments and feedback from citizens, educators and resource managers concerning the need for better, easier access to Bear River information. During the life of the project, we ask for your comments, feedback and ideas on how we can best serve the citizens of Bear River. 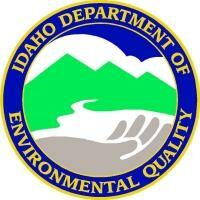 The site is now funded by the Bear River Water Quality Committee of the Bear River Commission. For information about how to become involved or to provide feedback, please contact any of the following individuals or use the e-mail form. This website was originally developed under a USEPA Targeted Watersheds Grant to the Bear River Commission and Utah State University. The original contacts from the grant are listed below. Major funding for the Targeted Watersheds program comes from the United States Environmental Protection Agency. For more information about the Targeted Watersheds Program please contact Gary Kleeman. The Bear River Watershed Information system is being maintained at Water Quality Extension at Utah State University. For information regarding the Watershed Information System please contact USU Water Quality Extension or Nancy Mesner. A dynamic water quality model is has been developed to support the water quality trading program by scientists at the Utah Water Research Laboratory at Utah State University. For more information about the water quality modeling effort please contact Jeff Horsburgh or David Stevens. 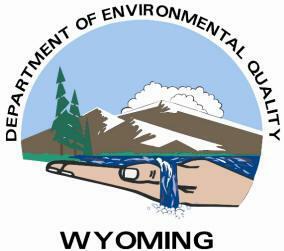 The water quality trading program has been investigated in the Department of Economics at Utah State University in cooperation with the Divisions of Water Quality from Utah, Idaho, and Wyoming. For more information about the water quality trading program please contact Terry Glover or Arthur Caplan. The education and outreach components of the Targeted Watersheds Grant are being developed in the College of Natural Resources at Utah State University. For more information please contact Nancy Mesner. Project oversight and management are being provided by the Bear River Commission. For more information please contact Don Barnett.